As financial professionals, we believe understanding the dynamics of retirement income portfolio risk can be crucial to investment success. 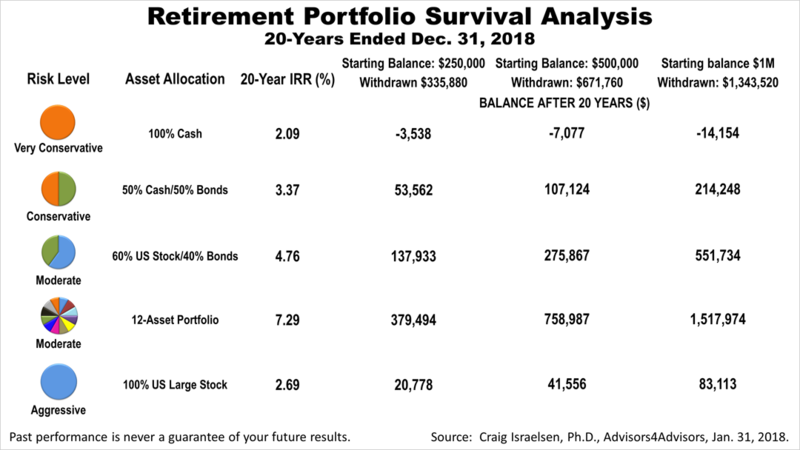 The survivability of five hypothetical retirement portfolios over the 20-year period ended December 31st, 2018 shown in the accompanying table is not intended as investment advice but is intended to help clients better understand retirement portfolio risk and conquer perhaps the worst of all financial fears: running out of money in retirement. The data is based on a continuing professional education session by Professor Dr. Craig Israelsen, an independent economist whose research we license. The results of the five portfolio risk levels illustrated a range from very conservative to aggressive. All five portfolios assume a retiree withdrew 5% of the portfolio value annually, and annually increased withdrawals by 3% to keep up with inflation. Pick whichever starting balance — $250,000, $500,000 or $1 million — best applies to your situation. 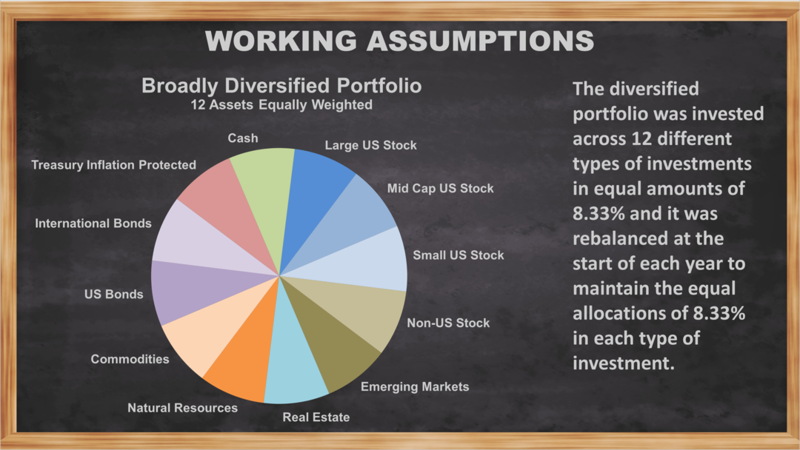 What stands out is that the most diversified of the five portfolios outperformed considerably — broad diversification worked! That diversification worked may come as no great surprise; conventional wisdom and academic research hold that diversifying is wise. Remarkably, diversification worked even though this was a 20-year period of low returns on stocks. Stocks, a riskier investment in a retirement portfolio, showed an internal rate of return over the 20 years of just 2.69% — only six-tenths of 1% better than the least risky of the five portfolios, the one 100% invested in short-term Treasury Bills. Why did stocks perform so poorly? The 20-year period started in 1999, at the peak of the dot-com bubble. The Standard Poor's 500 index did not recover until 2006, and then it dropped again in the bear market of 2008. A retiree picked a terrible 20 years to be an aggressive investor 100% invested in stocks. Over the much longer 49-year period, stocks did outperform cash by a huge amount and they also outperformed a diversified portfolio. The point is that even in this terrible period for stocks, the growth engine of a retirement portfolio, a broadly diversified portfolio outperformed. 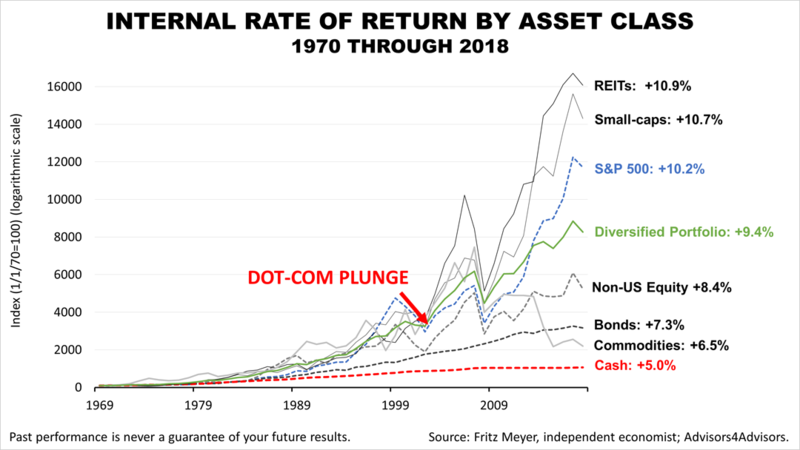 The next 20 years are likely to be as unpredictable as the last 20 years, but this illustrates how broad diversification helped a retirement portfolio survive through a period in which stocks performed unexpectedly poorly. 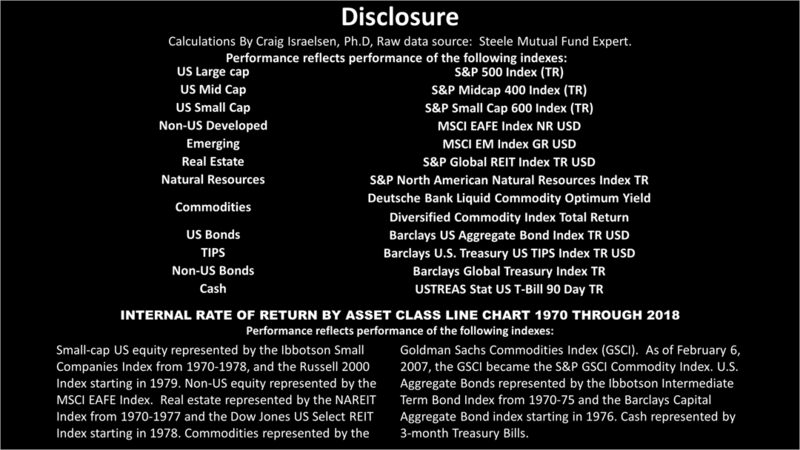 These are the indexes that represent the ETFs used in the Passive 7Twelve® Portfolio. This article was written by a professional financial journalist for BURT Wealth Advisors and is not intended as legal or investment advice. © 2019 Burt Wealth Advisors. All Rights Reserved.